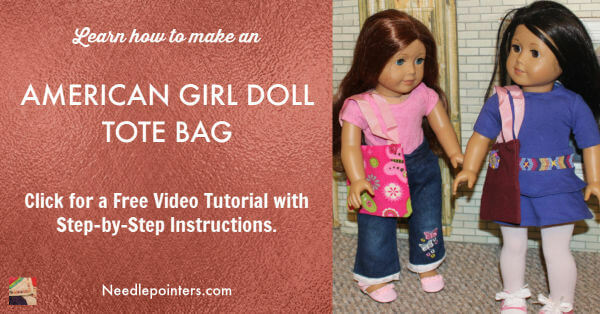 Learn how to make a cute tote bag for your American Girl Doll. She will have so much fun shopping with this new tote bag! Watch this video tutorial and read on to see how to make the tote bag. 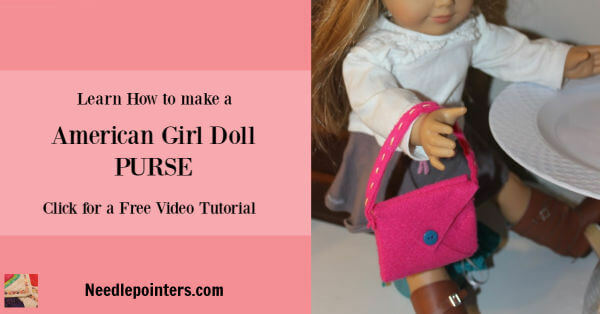 Watch our Video Below or Click the link to watch American Girl Doll Tote Bag Tutorial in Youtube. 2 pieces of fabric 6" x 6"
With one piece of the 6" x 6" pieces of fabric, turn under 3 sides 1/4" and stitch down. 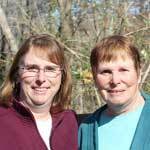 You can hand stitch or use a sewing machine. Turn the top of the fabric (this is top of tote bag) under to the wrong side 1/4" and press. Turn it under a second time 1/4" and press. Stitch close to the inside fold. With one piece of ribbon, pin it to the top of the panel on the wrong side about 3/4" from each corner. Make sure not to twist it when attaching. Sew the ribbon to the panel. Repeat steps 1 to 3 with the second piece of 6" x 6" fabric. Place the two panels on top of each other with right sides together and pin. Stitch around the sides and bottom of the the bag next to the fold. Clip the corners. Turn right side out. The tote bag is ready to use. Pop it over the doll's shoulder and she is ready to shop. Want to make a doll purse? Check out this tutorial.